Looking for a great coffee in Budapest or outside of the capital? Are you visiting Budapest and want to find drinks made of light roast coffee? Find the country's best coffeeshops on the specialty coffee map of Hungary! We collect Hungary's coffee events worth mentioning such as coffee fairs or exhibitions, open cuppings and barista competitions. Besides national events we list festivals across Europe. 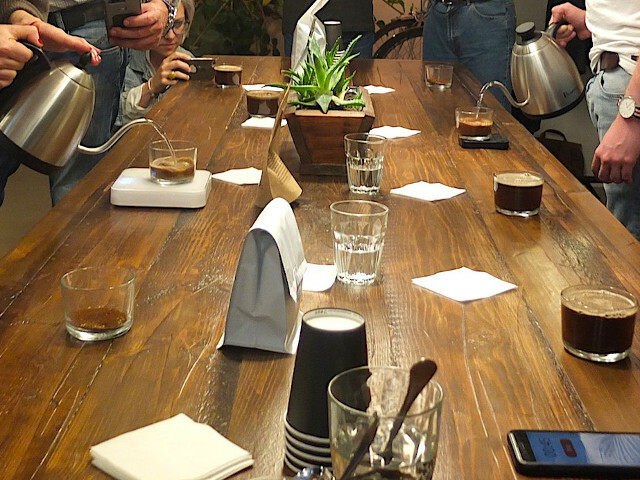 Let us know if you organise a coffee event! Specialty.hu proudly supports filterclub.hu, the small but dedicated group of filter coffee enthusiasts. We believe in the power of coffee communities. If you're interested in brewing good coffee then check their filter events and join the conversation on slack! We host the growing list of coffee shops that participate in the barista community initiative called spare shot. Read the details about the idea here. And join if you want to support your baristas with an eco friendly mindset! Above our ideas and plans we are open to form the site according to your needs. Thanks for any feedback! Show me all (2) upcoming events! Do you know a coffeeshop opened just now? Recommend it! Show me all (144) specialty places!